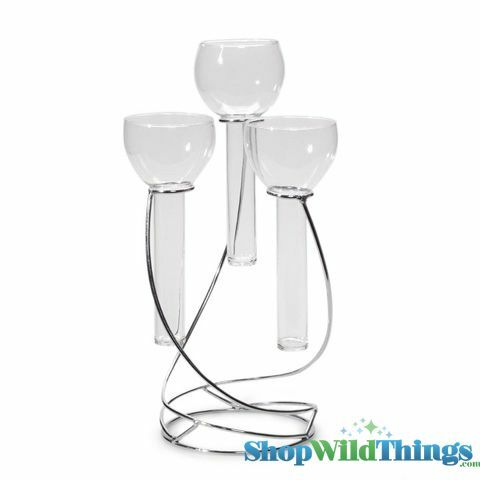 Our fantastic Triple Floating Candle Holder is ready to be decorated in the colors of your event! It stands 15.75 inches tall . Fill the stem of holders with water, add 8" taper candles and as the lighted candle burns down, the water buoys it up so that the flame is always at the same level! Silver metal base, glass candle holders.